Will Eastern Europe pay the price for containing Iran? The world may have to get used to Barack Obama the cutthroat "realist." The New York Times Tuesday morning had yet another of those ultra-super-secret scoops that it specializes in exposing -- even when they impinge on national security. It focused on a possible deal between the United States and Russia, "suggesting that [Obama] would back off deploying a new missile defense system in Eastern Europe if Moscow would help stop Iran from developing long-range weapons, American officials said Monday." "The report that was in The New York Times didn't accurately characterize the letter," Obama said after meeting British Prime Minister Gordon Brown at the White House. "What I said in the letter is what I have said publicly, which is that the missile defense that we have talked about deploying is directed toward, not Russia, but Iran," he said. "And what I said ... was that, obviously, to the extent that we are lessening Iran's commitment to nuclear weapons, then that reduces the pressure for, or the need for a missile defense system." 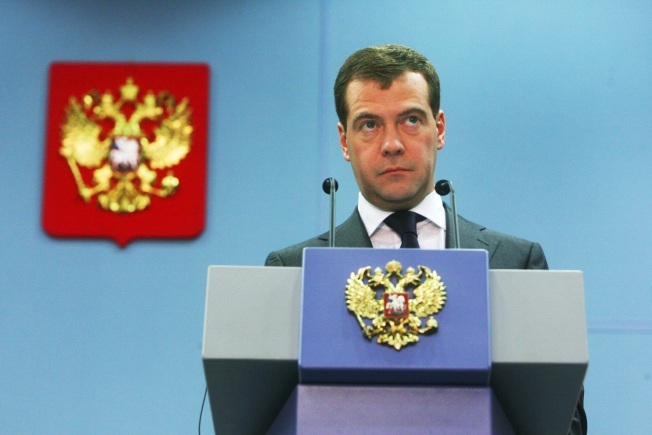 Russian President Dmitry Medvedev signaled Tuesday that Moscow was willing to talk to Washington about the missile defense shield but that Iran's nuclear program, which it is involved in, was a separate issue. But, of course, he would play it down. Yet, leaks of this nature happen for a reason -- especially when they appear on the front page of The Times. During the Bush administration, it meant that there was a behind-the-scenes policy battle going on between one faction of the Bush administration (probably the Vice President's office) -- and another part of the government (think "CIA"). With Democrats now in control, one presumes that The Times is being used to help launch a public discussion of whether Russia should be brought in as a partner in keeping Iran under control (much the same way the six-party talks were used to bring North Korea to heel). But using the national missile defense as a chit is a big deal. Obama might well be willing to throw Europe under the bus when it comes to bargaining with Moscow. Now, if it were only what Rumsfeld once referred to as "Old Europe" -- Germany, France, Italy, etc. -- that would be fine: It would force these nations to start spending a bit more on their own defense. But the countries most imperiled would be the nations of Eastern Europe, which are more favorably disposed to the United States because of their decades in the orbit and control of the old Soviet Union. These nations are also the ones most economically vulnerable in the current worldwide fiscal meltdown. Old Europe doesn't seem inclined to bail them out. Would Obama's offer to Russia send a signal to the Eastern European nations that they might really be on their own? No economic bailout by the still-far wealthier traditional Western European powers -- and not even the possibility of the US staging a national missile defense in their region -- where they need it the most? Would those two factors lead the Eastern European nations back into the arms of the hated Russian bear? Is President Obama thinking that that might be a big enough price to pay for Russia helping big-foot Iran into a non-nuclear future?